It has been nineteen days since I last posted anything on my blog, which means that it is now time for me to write something acknowledging this absence, stating my intention to post more stuff in the near future, and sharing a list of interesting trivia facts in order to keep this blog post from being too pointless. Actually, this time, I’m not exactly going to make the second of those three points, because I’m not sure how often I’ll be able to post stuff on this blog in the near future. I don’t have a very clear idea of what my schedule will be like over the next several months, but I do know that I’m going to be extremely busy. I’ll try to post things every now and then, but I doubt that I’ll be able to do so very frequently. With that being said, here is the aforementioned list of interesting trivia facts. German chocolate cake was invented in America, not Germany. 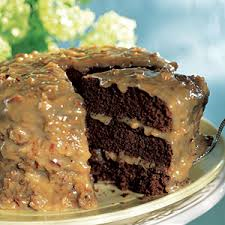 The first recipe for German Chocolate Cake was submitted to a newspaper in Dallas in 1957, and it gets its name from the brand of chocolate used, which in turn got its name from a man named Sam German. Polar bears are always left-pawed. The first Bible printed in North America was not in English because at that time, it was illegal to print English bibles anyplace other than in England. Lighters were invented before matches were. Julia Grant, the wife of President Ulysses S. Grant, was cross-eyed. The dessert known as Bananas Foster was invented in New Orleans in 1951 by a restaurant owner, who named it after a customer named Richard Foster. 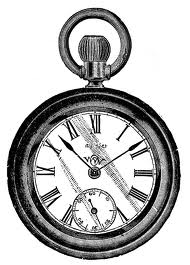 In advertisements showing watches, it is typical for the time displayed to be 10:10. It was somewhat controversial when the word “beautiful” was used in a Bible printed in 1524 because “beautiful” was such a new word that some people thought it seemed out of place in the Bible. The night that the Titanic sank, lifeboat number 13 also sank when it hit a chunk of ice. Pat Nixon, the wife of President Richard Nixon, was the first First Lady to wear pants in public. The first advertisement that used a photograph was printed in Philadelphia in 1843. The word “dinosaur” did not exist until 1841. 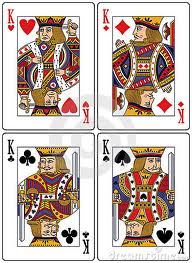 In a typical deck of playing cards, each of the king cards is supposed to represent a certain historical king. The King of Spades is King David, the King of Clubs is Alexander the Great, the King of Hearts is Charlemagne, and the King of Diamonds is Julius Caesar. The hair of an intelligent person has more zinc and copper than that of a less intelligent person. Mark Twain’s Tom Sawyer was the first novel written on a typewriter. When Spain joined the European Union, the government began pushing to end the tradition of siestas. The point of this campaign was cultural integration. After you drink water, it stays in your stomach for five minutes. Caesar Salad has nothing to do with the Caesars of Rome; rather, it gets its name from a chef called Caesar Cardini, who allegedly invented the Caesar Salad when he didn’t have many ingredients available one day in July 1924. Every now and then, I see something on facebook, tumblr, or some other sector of the internet that asks participants to list a certain number of random facts about themselves. I rarely do this. It is not necessarily because I believe such surveys to be cliché or pointless; it is rather because I am confused about what determines the randomness of a fact. Does “random”, in this context, mean trivial? Does it mean that the person constructing the list is not to spend much time thinking about the facts or putting them in any particular order? Does it simply mean that the facts do not necessarily need to be related to each other in any way? My observations of things that other people post on the internet has led me to come to the conclusion that the word “random” is defined in many different ways, and that the tone and nature of a list of “random facts” will differ greatly from individual to individual. Some examples of things that can be classified as “random facts” include personal anecdotes, opinions, self-descriptions of personality or physical traits, details about one’s family or pets, personal biographical information, or a detail about one’s hobbies or interests. It would seem that the entire point of “random fact” lists is that everyone has a different idea of what kinds of facts should be on these lists. You may not learn a lot about a person by what facts about themselves they choose to share in this type of context, but what you do learn about them might be interesting. As a nerd and a smart-aleck, I am incapable of simply accepting this. The reason for my objection is that the word “random” has a specific mathematical meaning. Granted, this mathematical meaning differs from the word’s standardly used definition as given by English dictionaries, which say that “random” means purposeless or haphazard. Normally, it is my policy to trust dictionaries. However, I believe that the official mathematical definition of the word “random” is worth noting. According to the statistics class I took a year ago (and in which I got good grades, thereby justifying my insistent use of the concepts and definitions I acquired from it), “random” means that any possible outcome has an equal chance of occurring. For example, the roll of a fair die is random because each of the sides has an equal chance of being the side facing up when the die lands. Picking a card out of a standard deck is random because each card has an equal chance of being selected. Using a random number generator is random because any number within the selected range has an equal chance of being produced. Listing facts about yourself is not random because, no matter how purposelessly and haphazardly you are doing it, you are deliberately selecting the facts that you will use. 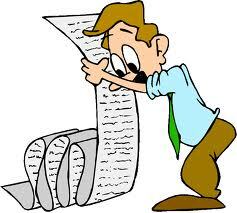 The only way to make a list of facts random is to randomly select these facts from a larger list of facts. That is to say, in order to generate a short list of random facts, a person should first write a long list of facts and then use a completely fair method to randomly choose the predetermined number of facts from the long list. This raises another question, though. How comprehensive should the long list of facts be? It can’t actually contain every possible fact about the person in question, because such a list would be infinitely long. I think that might actually be literally true, but even if it isn’t, the list would be extremely long and therefore inconvenient to use. Thus, I suggest that the list should contain only those facts which the writer of the list deems internet-worthy based upon its coolness and the likelihood that others would be interested in reading it. For example, I might include some facts about my musical preferences or my favorite books or movies, but not a fact about my favorite brand of peanut butter. 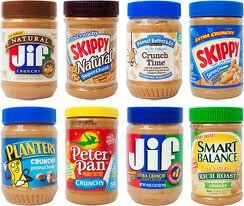 Alternatively, someone who considers peanut butter to be a fascinating or important topic might use such a fact. It’s too bad I have a lot of homework to do tonight. Otherwise, I would love to spend some time compiling a long list of facts about myself in order to prepare for the next time the internet wants to know some random facts about me. This blog post is a landmark because it’s Number 100, and 100 is a significant number because it’s the square of ten and we count in base ten. Personally, I think that bases seven, eight, and nine are cool, but I stick with convention and use base ten. I’m not smart enough to translate from one base to another very easily. Anyway, I’ve decided that the best way for me to observe the occasion of my one hundredth blog post is to make a top ten list of my favorite older posts. Last night, I went through and chose my ten favorites, and I will now list them and add links to them. It is worth noting that these are not necessarily the ones that got the most views or likes; it’s just my personal opinion that these are the best. 10. Logic dictates that I should vote for a third party candidate– from October 27. This is the only relatively recent one that made the list. 9. Cadbury Eggs and Calculus– from April 4. Conclusive proof that I’m a nerd. 8. Thoughts on Time Travel and Stuff– June 14. I felt like this one kind of had to make the list, because parts of it discuss the book that I’m using for my English senior seminar paper. 7. Stuff that Martin Luther didn’t say– from July 11. I wish I’d done a better job writing this. I liked it at the time, but now I don’t think it was very well organized. 6. A picture tells a thousand words, but most of them are lies– from April 27. Actually, the title is the best part. I thought that was a lovely title; it’s pretty much the only reason this one made this list. 5. Logic is a Logical Fallacy– from February 10. Another one that I like mainly for the title, but I also think I made some good points in that one. 4. Why We Celebrate the Fourth of July– from July 4. I had fun with this one. But even now, I can’t decide whether I’d classify it as silly or serious. 3. An unreasonable explanation for an unexplainable reason– from June 30. Have you ever wondered why, every now and then, something hurts a little for just an instant? I have an explanation, and it involves science fiction terminology, so it’s automatically cool. 2. Peace, Love, Jesus– from July 19. I wanted this to come in at number one, because it discusses some of the most important stuff I’ve written about on this blog. But looking back at it, it’s just not quite as well-written as it could have been, so I couldn’t justify putting it at the top of the list. 1. Correct Use of Furniture– from July 18. Before I started making the list, I wouldn’t have guessed I’d be putting this at number one, but I do remember having a lot of fun writing it. Actually, I think that’s the real reason I like it; it entertained me a lot at the time and now it represents some good memories.